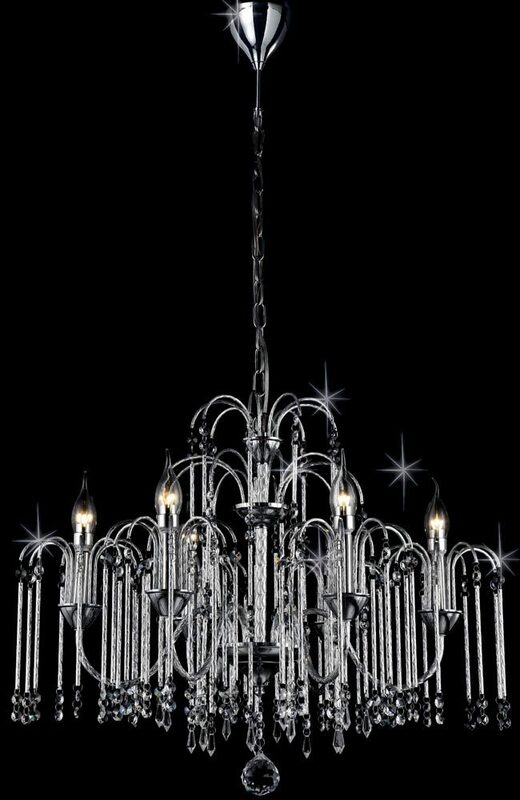 The Bette chrome waterfall 6 light chandelier with crystal drops is a contemporary shower of twisted chrome and crystal. Circular chrome ceiling mount and chain suspension supporting the chandelier body. Six double curved candle lamp arms radiate from the centre, each fitted with a candle style lamps featuring candle drips and tall chrome candle tubes. 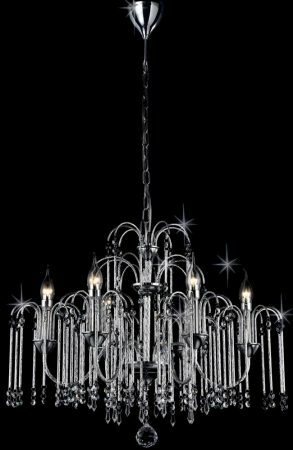 The candle drips are fitted with a number of overarching chrome stems, each decorated with hanging twisted chrome tubes and crystal buttons. 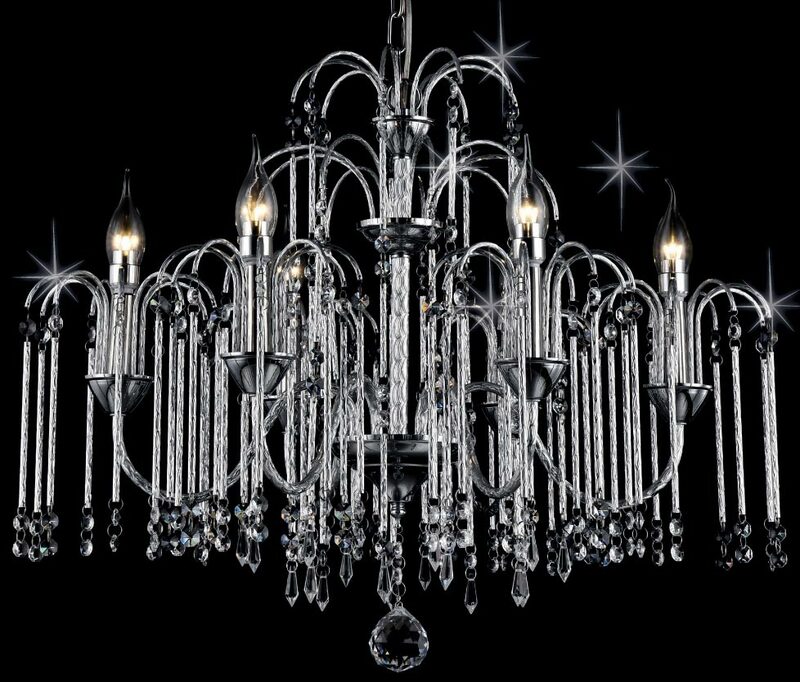 The remainder of the chandelier is beautifully detailed with masses of twisted chrome decoration and crystal buttons. A truly stunning contemporary design that will complement contemporary or traditional settings and create a focal point in any room it is fitted.